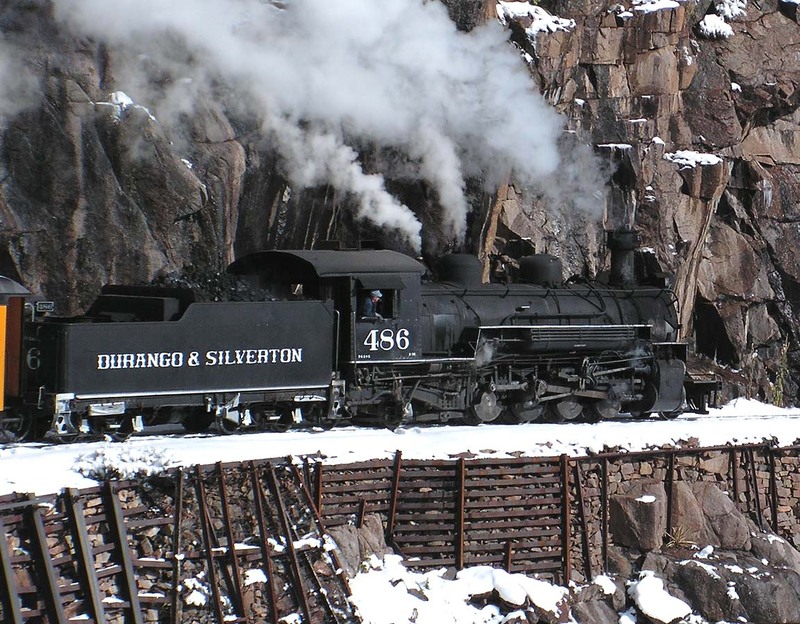 The Durango & Silverton is, by heritage, essentially a time capsule of the Denver & Rio Grande Western Railroad (the narrow gauge portions) between 1925 and 1969. Of course, the freight component has essentially vanished, but nearly all other D&S equipment would have been operated during that period. Some is much older, actually– most of the rolling stock dates from the 19th century. 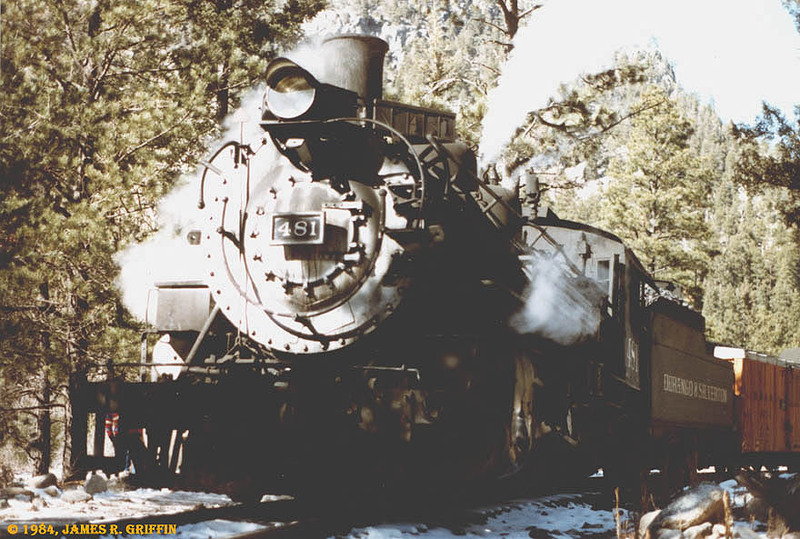 However, all of the steam locomotive classes were built or adapted during the 1920’s. 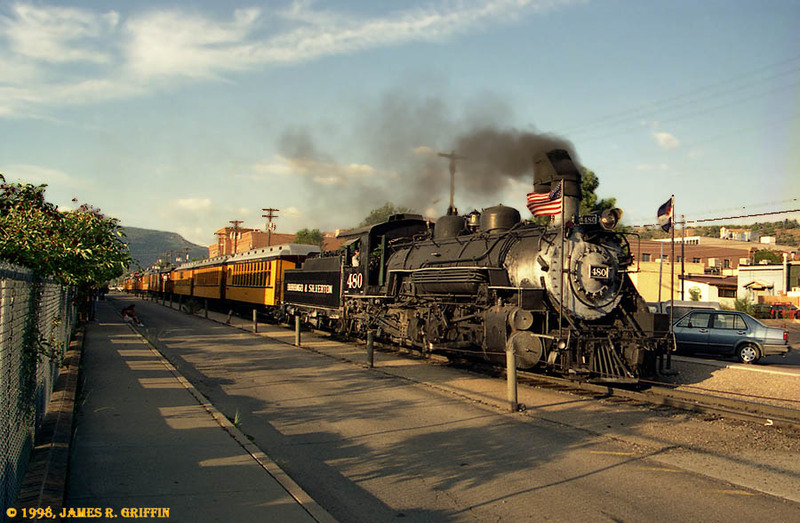 This makes fans of the D&RGW strangely fortunate: not many US railroads left behind surviving operating steam locomotives, and certainly not in this quantity (this includes the Cumbres & Toltec’s stable). Class K-28 The K-28 class from Alco was built in 1923, and were ultimately numbered 470 through 479. Three survive on the D&S. The most obvious spotting feature, besides the number, is the oval door on the engineer’s side of the firebox face, and the pump assembly across from it. More shots of her dressed up for the tourists here. 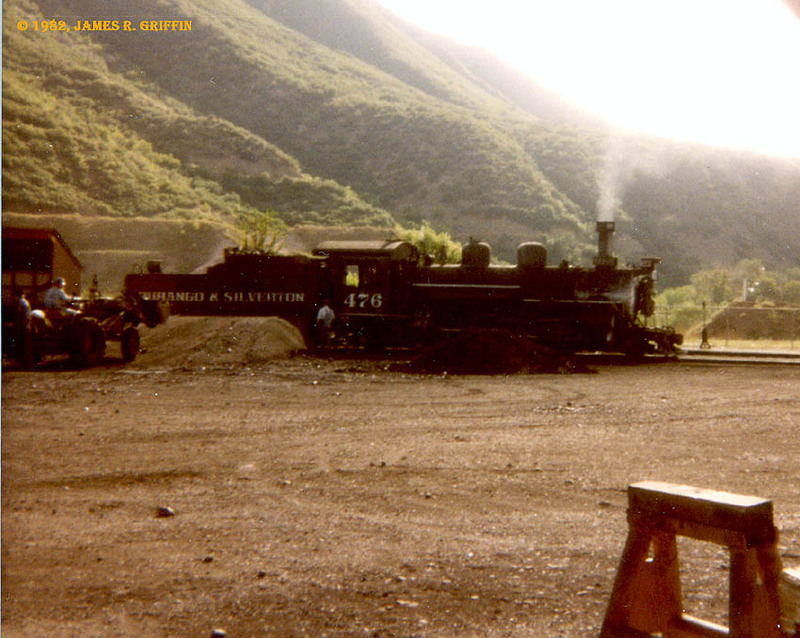 1984, approaching the Durango depot. 2006, on the High Line. Inactive for years, repaired ~2018. 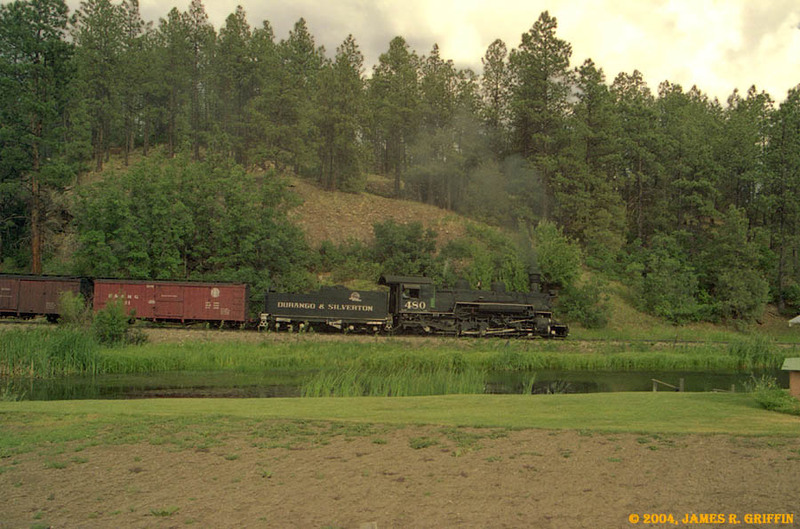 In the early days the D&SNGRR yard wasn’t restricted, and I have a few shots like this, taken wandering around the yard. This photo from 1982 (either May or July, not sure which) shows a rare sight– No. 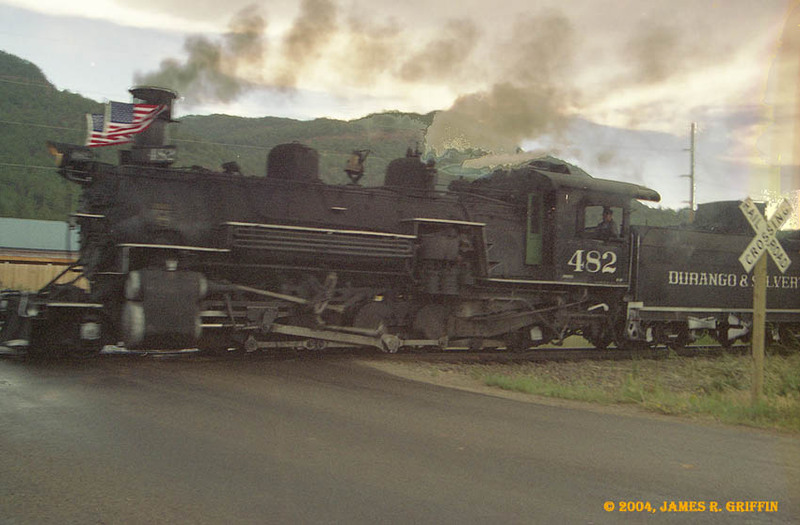 476 under steam. No. 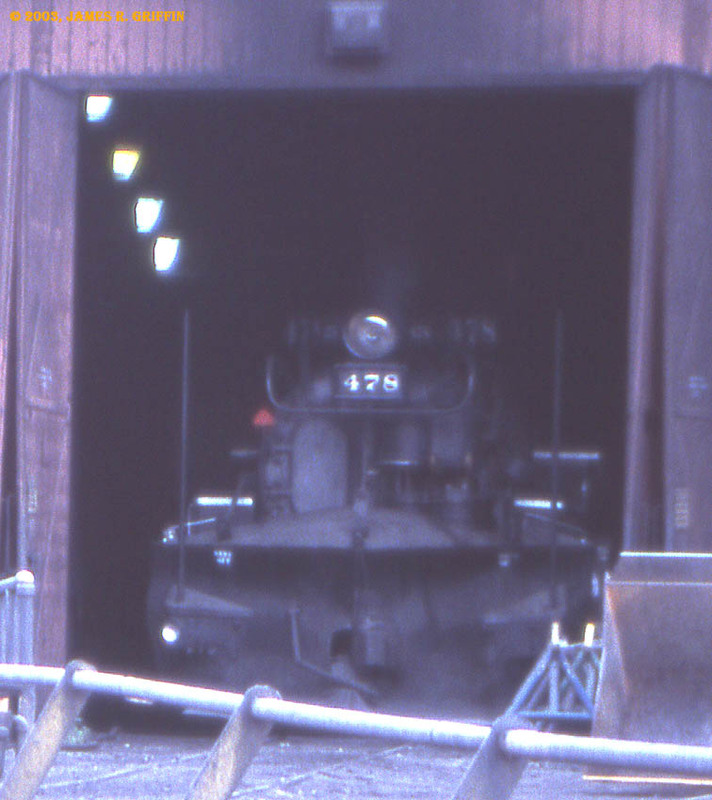 478 Peeking out of the roundhouse, August 22, 2003. Here she sports a large snowplow. 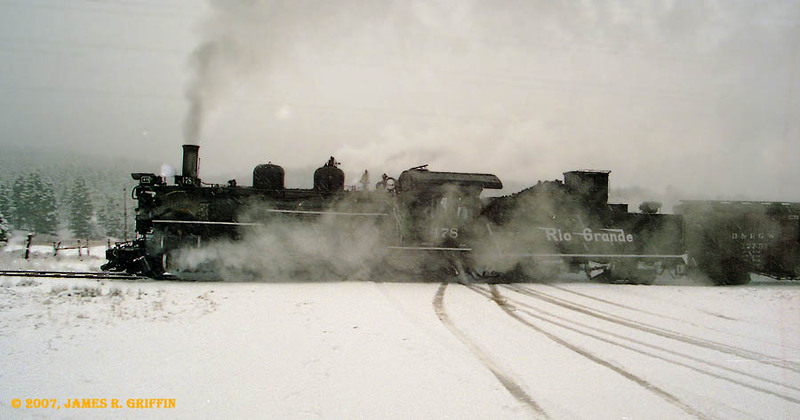 Painted in historically-accurate Rio Grande lettering for a special charter, here she crosses the old US 550 near Shalona Lake on 2/11/2007. Note the lack of a spark arrestor on the stack. Class K-36 The K-36 class locomotives were built in 1925 by Baldwin, and are numbered 480 through 489. The D&S has four of them. Both photos, 1998 in Durango. No. 481 December 1984, Cascade Wye. Moved to the D&S in 1991 in the swap for No. 497. September 2005, north Durango. No. 486 December 2007, on the High Line. Class K-37 The K-37 class locos were converted from standard-gauge Baldwin C-41 locomotives between 1928 and 1930, and are numbered 490 through 499. 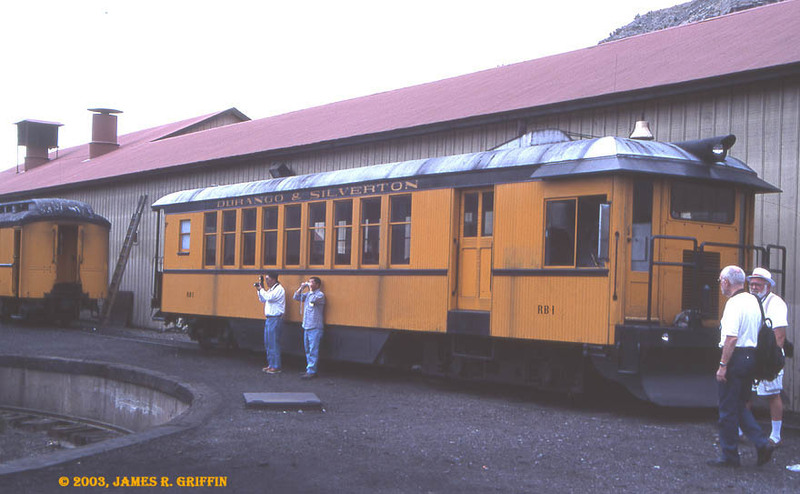 The D&S had two of them on static display, and operated another one for about a decade before it was determined that it was too large for the Silverton line. No. 493 No. 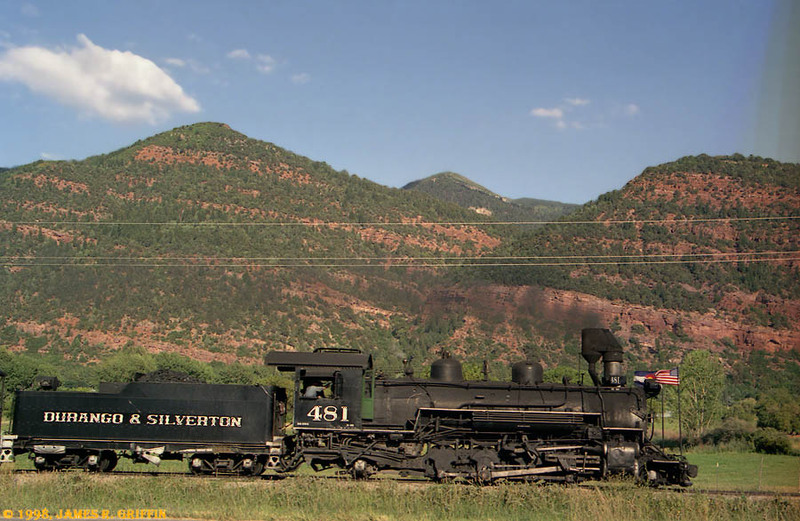 493 sat on static display in Silverton for many years, where it shown here on 8/30/2010. It was planned to be sent to Golden for restoration and long-term loan but that scheme fell through. 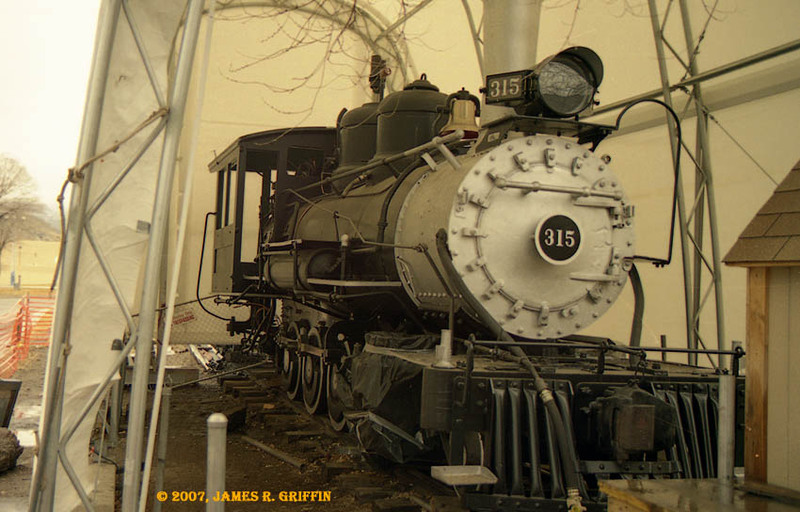 In May 2018 it moved to the Durango roundhouse for restoration, after which the decision was made to convert it to burn oil (to reduce fire risk). No. 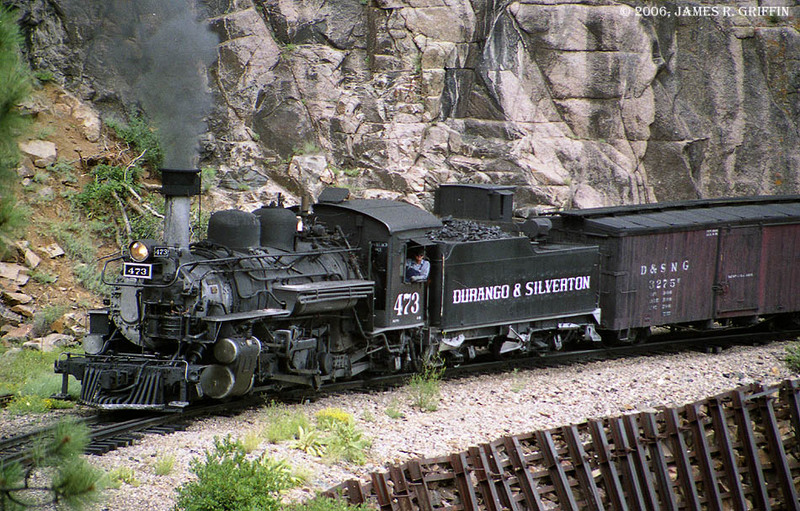 497 Here’s the biggest class of locomotive ever operated into Silverton. Photo taken during Summer 1985. It was traded in 1991 to the C&TS for K-36 No. 482. 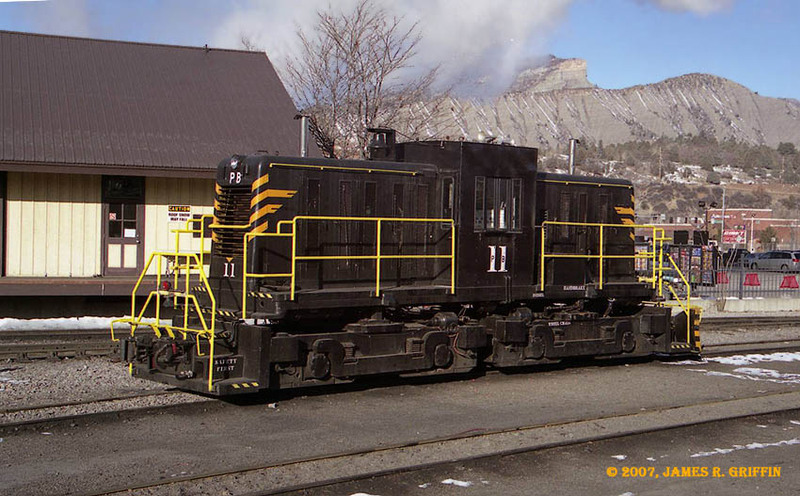 The D&S has owned four center-cab diesel locomotives, starting in early 2002. 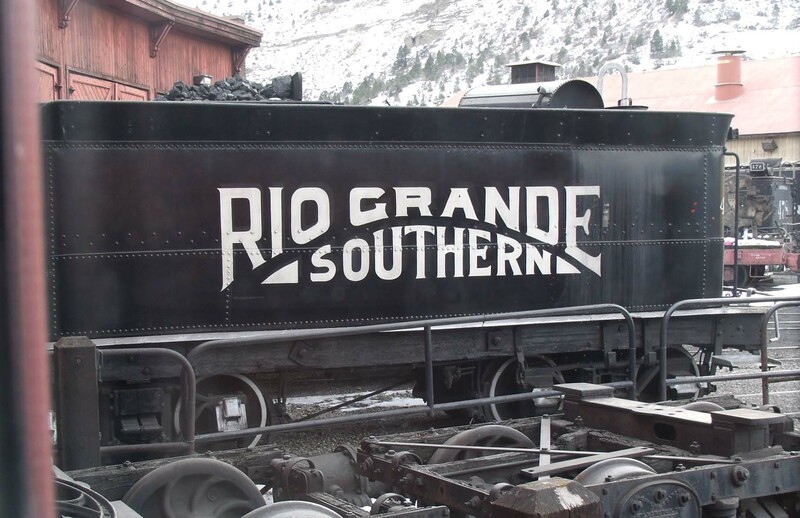 (None, it must be pointed out, ever saw service on the historical Rio Grande system.) One of these was made operational just in time for the Missionary Ridge fire, and was christened Hot Shot 1 in honor of the firefighters who battled the blaze. 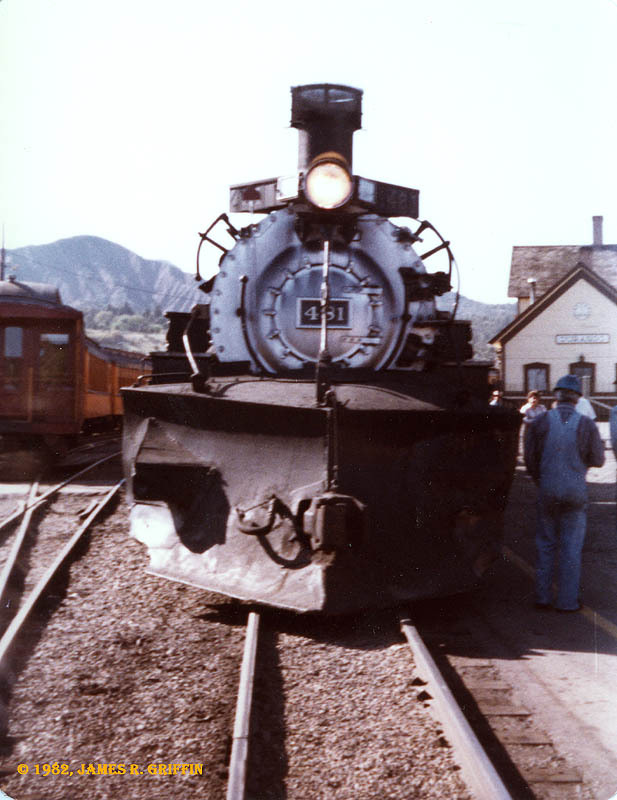 It was pressed into service to operate the stub train when all coal-fired operations were suspended. In seasons of high fire danger, Hot Shot is often stationed at Hermosa or Rockwood with the fire train. The second operational diesel, Big Al (No. 7), was working at switching chores by 2003. The third (No. 11) left the shop and entered service around the end of 2006. No. 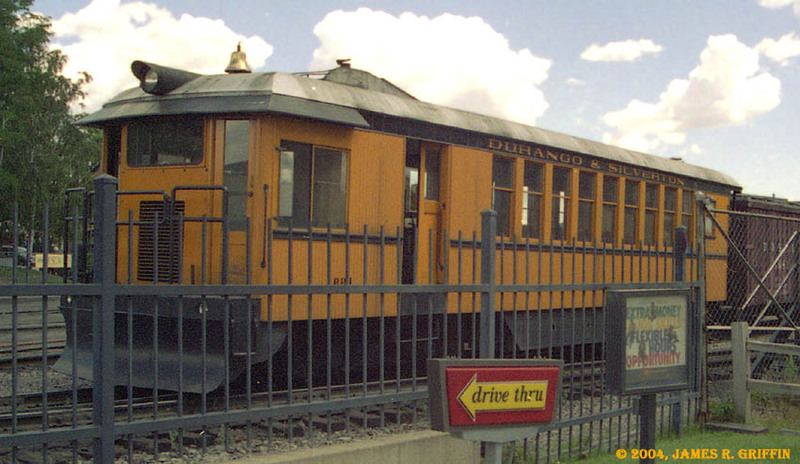 9 has been reported sold at least twice, but is reliably reported to be in Silver Plume now on the GLRR. 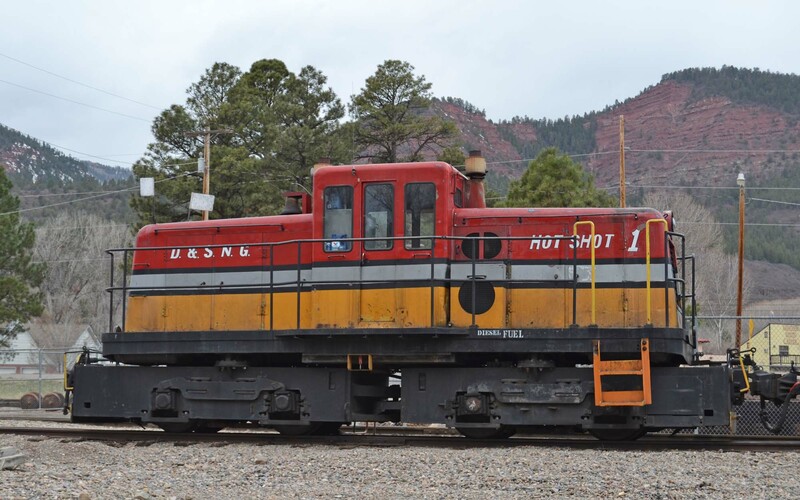 In addition to fire train service, the diesels perform most of the switching around Durango, sometimes make appearances on specials such as the Pumpkin Patch trains, and during the 2018 “416 Fire” were used as passenger power for a month or so. 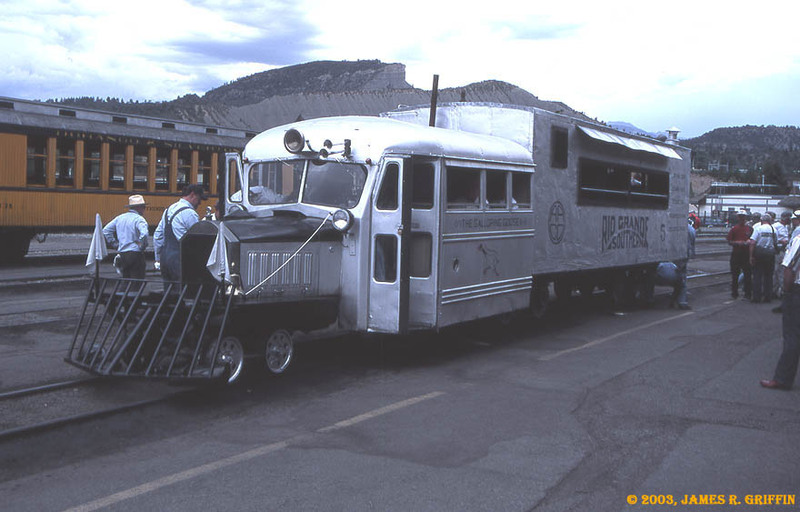 Additionally, the D&S built a railbus (RB1), sometimes known as a doodlebug. This unit was intended for local and express service, but after that idea didn’t pan out, it is usually idle. Fitted with a coupler, it occasionally is used as a yard switcher. See DRGW.net for specifics on the D&S diesel fleet. Big Al 7, an 87-ton center-cab diesel. In this August 2003 shot he’s taking the repainted No. 473 from the paint shop to the turntable lead. No. 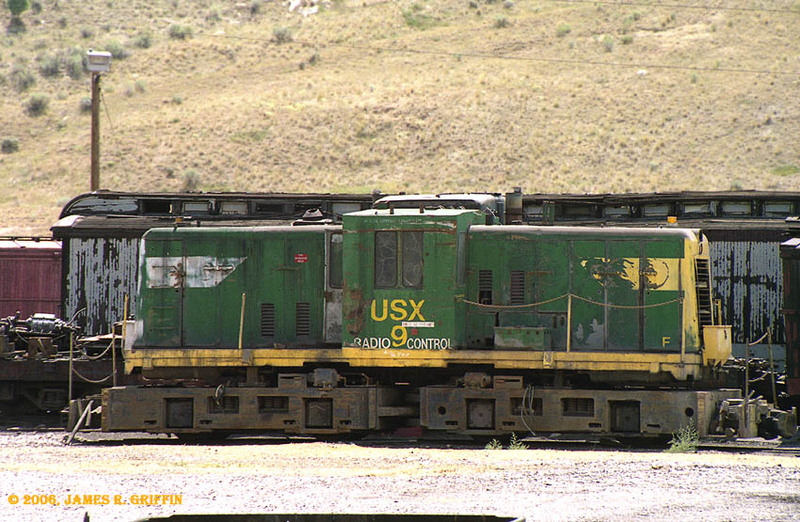 9, a 90-ton center-cab diesel, awaiting eventual repairs to get it into service. Parked near the paint shop on 7/31/2006. Reportedly traded to the Georgetown Loop in early 2017. No. 11, another 90-ton center-cab, on 1/07/2007. She’s freshly refurbished and painted, newly into service. Note the stylish nose striping. (Also note the lettering indicating she’s designated “PB11”). No. 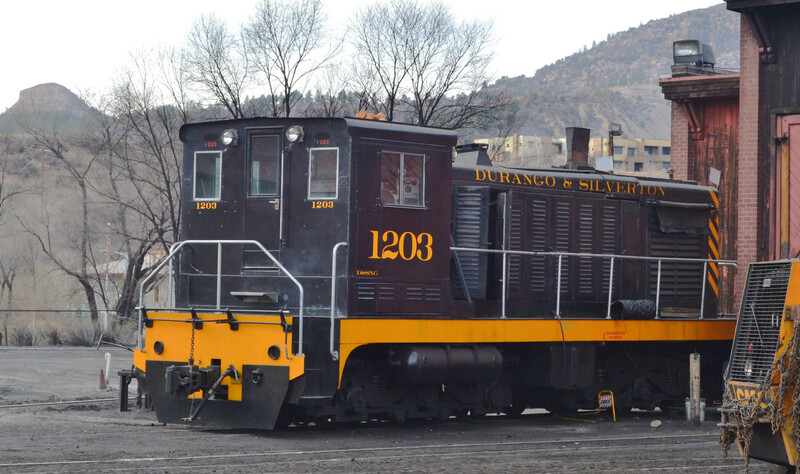 1203, the newest diesel on the roster and the strangest– note the 3-axle trucks– parked by the roundhouse on 12/16/2017. 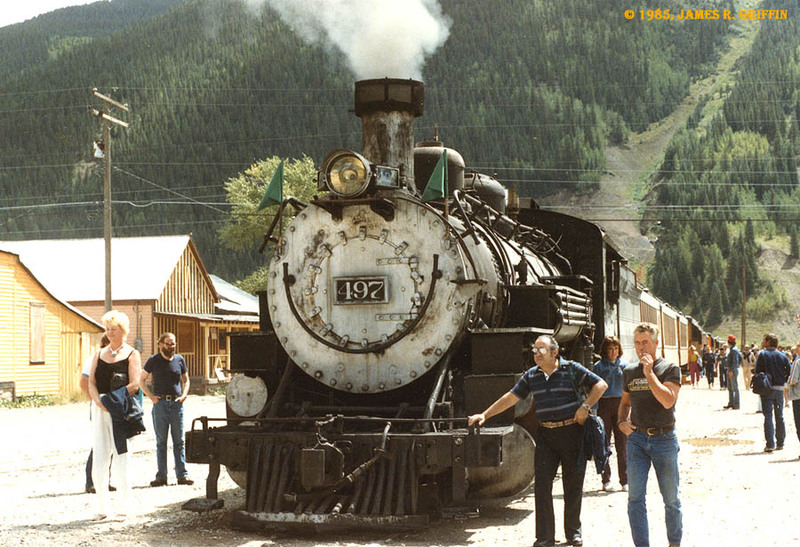 This unit was received in trade from the Georgetown Loop RR for No. 9 (above). The Rail Bus (RB1), parked behind the Durango turntable in August 2003. 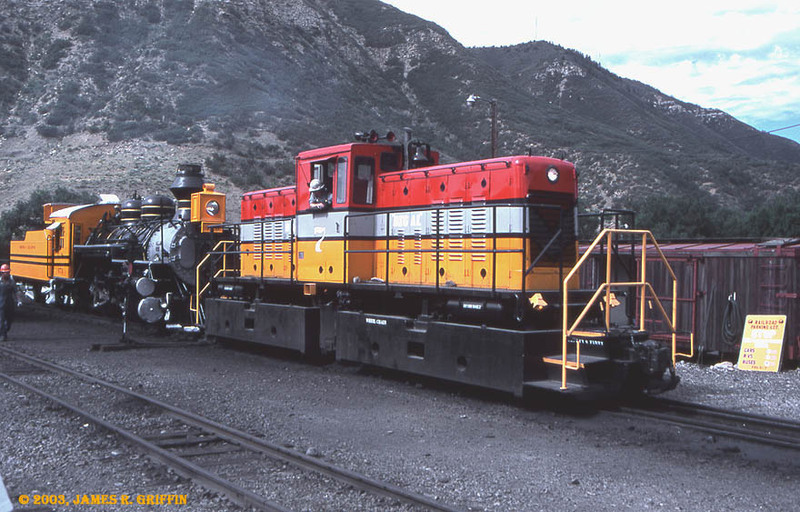 Here the RB1 is switching the Durango yard in July 2004. The D&S frequently hosts equipment not owned by the railroad. In 2018/19 a small oil-burner from California, SP No. 18 was tried out demo the oil-fired concept and familiarize crews with that technology. Some other visitors are shown below. No. 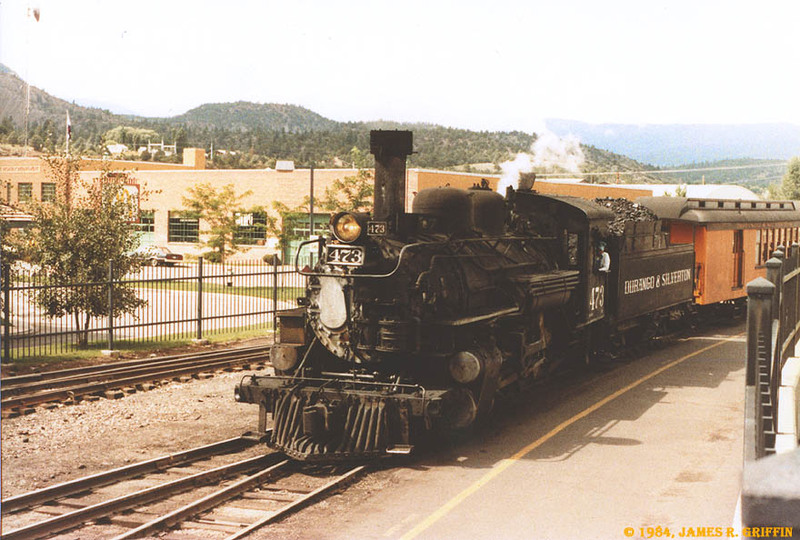 315, class C-18, operated on the D&RGW and was later put on display in Gateway Park in Durango. 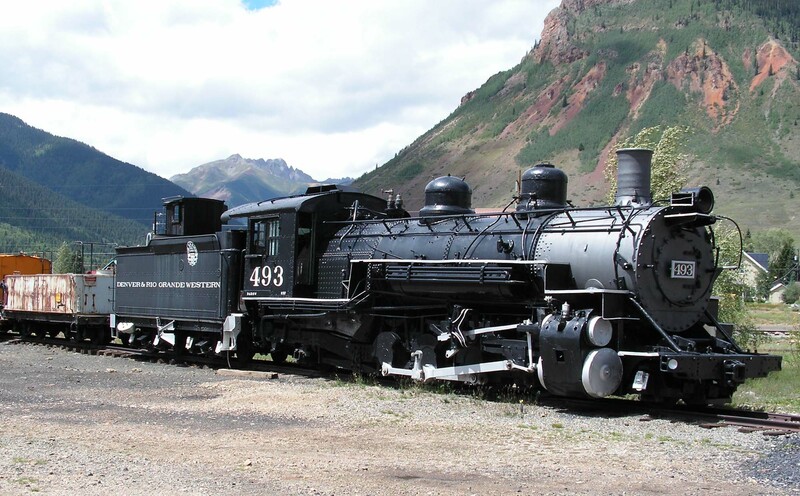 A team of volunteers restored it to operating condition (shown here) and now it spends its winters in Silverton. Summers find it guesting on the D&S or over on the C&TS. 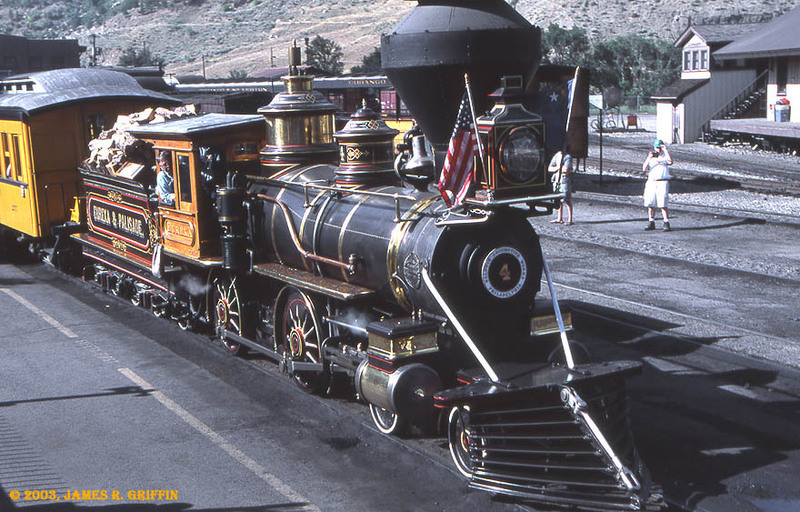 Eureka & Palisade 4-4-0, a wood-burning visitor from California, makes frequent appearances on the D&S. Here it’s shown in August 2003 during Railfest. Galloping Goose No. 5 frequently guests during Railfest and at other special times. 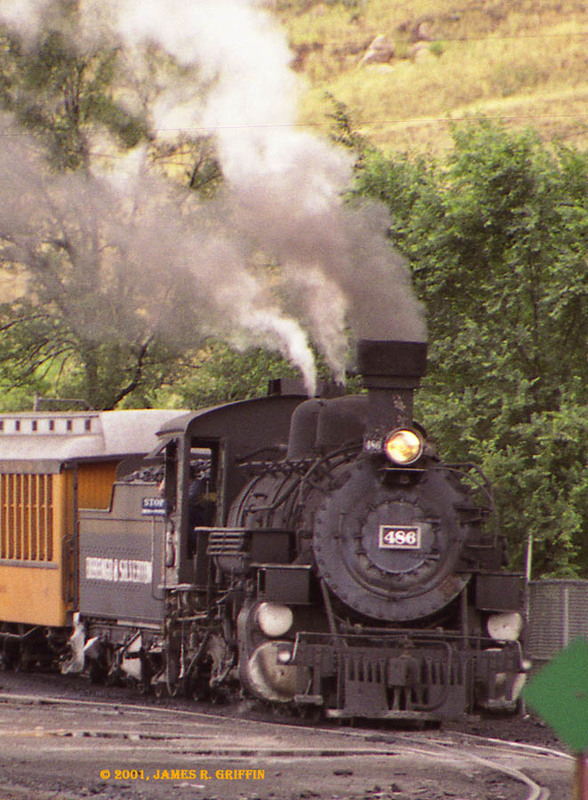 Here it’s shown during August 2003 after returning from Durango. Not a visitor per se, but Rio Grande Southern C-17 No. 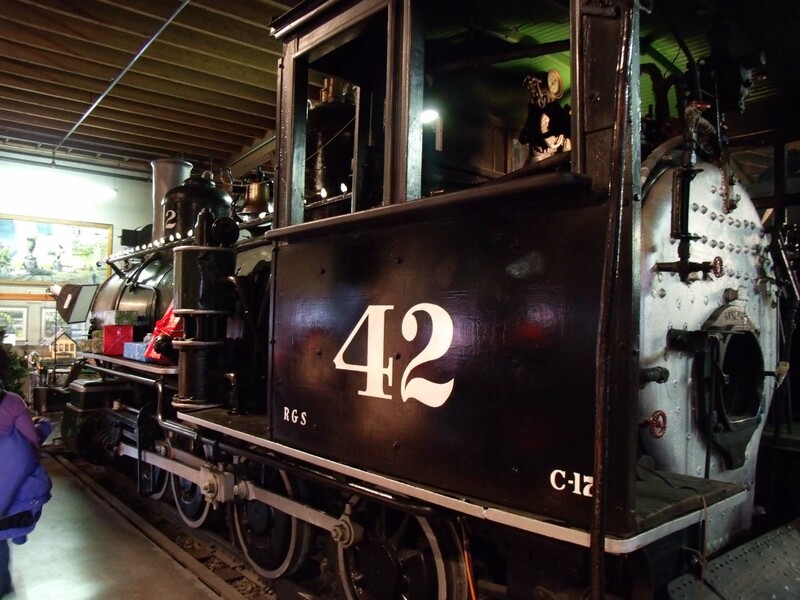 42 resides in the museum at this time (the tender is parked out back). Here it’s shown in 2014. To my knowledge there are no plans to restore it to operating condition. 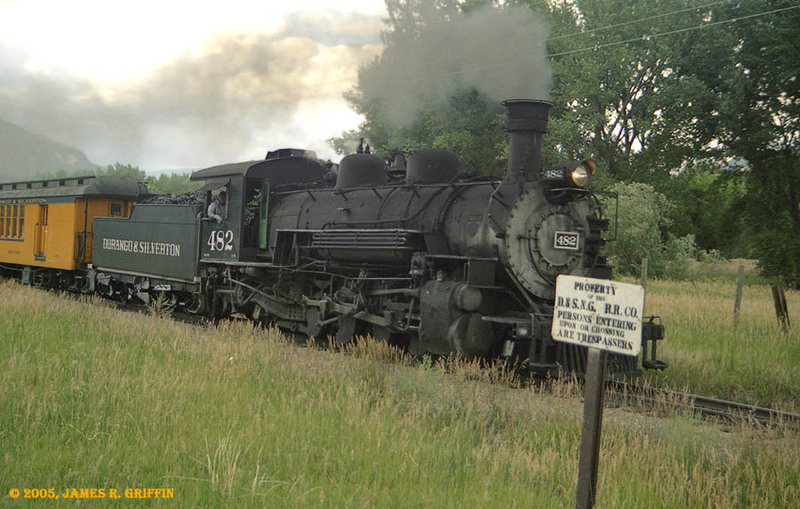 Narrow-gauge purists sometimes complain about D&S practices that deviate from historical precedent– K-37’s, diesels, doodlebugs, Thomas the Tank Engine, the Polar Express, and now an oil-burning steam locomotive. The facts are that the D&S must do what it can to make money while operating in an environment that is increasingly hostile to coal. Using diesels and other such initiatives save money and reduce fire risk. 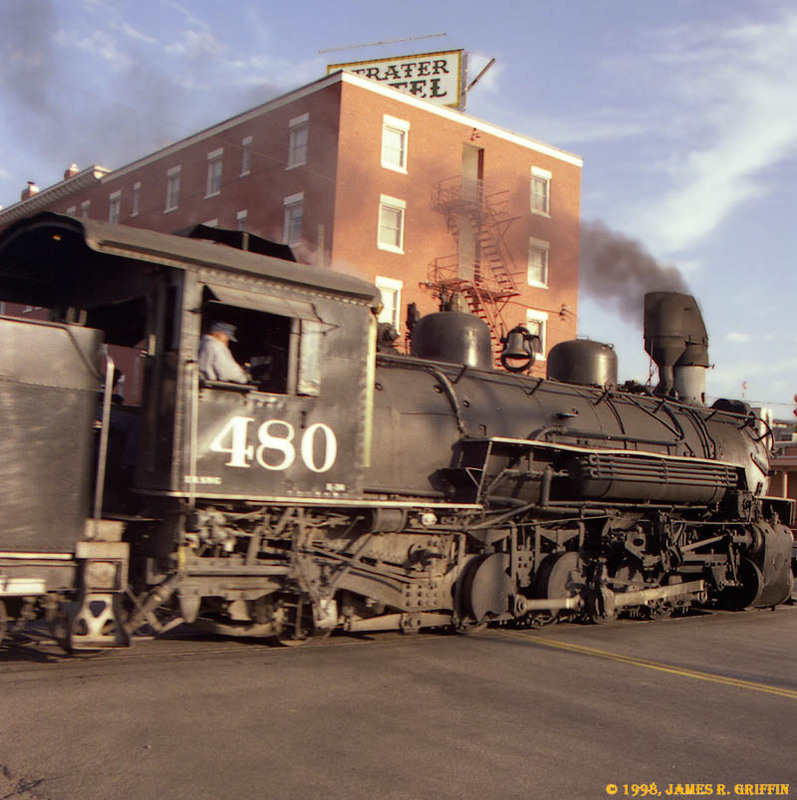 It is a delicate balancing act to preserve the historical flavor of the operation while attracting tourist dollars from people who might not be hard-core railfans, and trying to be a good neighbor to the community.